PADAYON Pilipino, the battle-scarred regional political party, barnstormed the western municipal towns of Misamis Oriental at the start of the political campaign amid a rousing welcome of thousands of supporters. Provincial Governor Bambi Emano, Padayon head in the province, led the handshaking albeit opening salvo in Manticao, a coastal town west of Misamis Oriental, followed by the proclamation rally in the nearby town of Lugait. Over 5,000 jubilant Padayon supporters joined the proclamation rally in Lugait on the evening of March 29 as the Padayon Pilipino candidates took turns in discussing the party’s program of government. People from all walks of life also came out of their homes as the Padayon candidates engaged in an intimate handshaking in Lugait the following day on March 30, followed by the jam-packed crowd during the evening proclamation rally in Manticao. “It is heartening that wherever the Padayon candidates go, people swarm to the candidates either during handshaking or proclamation rallies,” former Lagonglong town mayor Intot Puertas said. From Lugait and Manticao the Padayon held handshaking and proclamation rallies in the coastal towns of Naawan and Initao before the party leapfrogged to Claveria. Puertas said that the handshaking and the proclamation rally in Initao overshadowed all events, including the graduation rites, as the town’s people opted to join the Padayon candidates. Puertas, the Padayon Pilipino political campaign manager, said that the reception of people from all walks of life, from the coastal town of Manticao to the landlocked town of Claveria, was very reassuring. From Claveria, the Padayon Pilipino moved to the east coast of Misamis Oriental and witness an overwhelming mandate of support in the component city of Gingoog, Puertas said. The popularity of Gov. 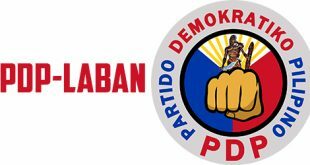 Bambi Emano, the standard bearer of Padayon Pilipino in Misamis Oriental, has passionately steered the political party with zeal and enthusiasm. Wherever Bambi Emano goes, the throng of people and supporters followed like a magnet that gathers every metal as it rolled along the hardened pavement of the political battleground. “It really amazed us all. We could only sincerely thank the people who braved the scorching heat as Bambi Emano leads the Padayon Pilipino candidates toward the path of political victory,” Puertas said. 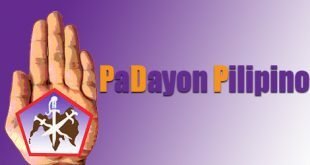 People have expressed fate about the Padayon Pilipino’s time-honored political mission to serve the less fortunate and provide opportunity to alleviate the plight of the poor. Thanks to Governor Bambi Emano who has not wavered his commitment to serve the interest of Misamis Oriental and its people with honesty and sincerity. There is no argument that the strongest point of Padayon Pilipino is the unwavering support of the people, obviously as the political party travels from place to place around Misamis Oriental. The midterm election in May 13 this year would demonstrate the people’s irresistible support to the Padayon Pilipino candidates, Puertas said. 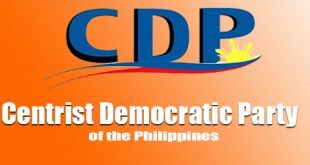 Provincial board members: 1st District: #3 Dumadag, Bebing; #5 Khu, Erik; #7 Militante, Win; #9 Pelaez, Enteng; #11 Uyguangco, Ken. 2nd District: #1 Acain, Panky; #3 Emano, Saysay; #4 Madjos, Nancy; #9 Sabal, Boboy; and #11 Yasay, Dexter. 2nd Congressional District Misamis Oriental: #2 Benaldo, Benjo. City Councilors, 1st District: #2 Abbu, Jose Pepe; #3 Acenas, Ronald; #4 Bacal, Alden; #6 Barba, Adrian; #18 Legaspi, Al Sr.; #21 Navarro, Meneleo; #23 Pajo, Dante; #27 Suan, Lordan. 2nd District: #1 Acenas, Jun; #6 Dacer, Alexander; #10 Gan, Leon; #11 Gumahad, Adonis; #12 Judith, James; #18 Roa, Nanette; #19 Rodriguez, Bebot; #21 Tabor, Ramon.